Gohyang Korean Restaurant in Hadley MA, recently changed hands when its owner, Hyunjeong Kim, had to return to Korea to take care of elderly family members (a loving article about Gohyang closing is here). Hyunjeong Kim was actually the second owner of the restaurant, she began at Gohyang working for the original owners in the early 200o’s and took over the place in 2004 when the original owners retired. I really enjoyed the food at Hyunjeong Kim’s Gohyang V2, but never tried the dumplings because they only served beef dumplings (I am a pork-a-terian). Gohyang V2 closed in December 2015 and new owners opened Gohyang V3 in April 2016. On my first outing to Gohyang V3 I was under-whelmed by the food. The bibimbap rice and vegetables were not seasoned and the red pepper paste served on the side was straight out of the tub Gochujang with no additional seasoning. Plus the stone bowl was not hot enough to crisp the rice at the bottom of the bowl. The Sundubu Jjigae was spicy but lacked a depth of flavor, but on the plus side Gohyang now serves vegetable dumplings. The Dumplings: the vegetable dumplings come either fried or steamed and I am almost certain they are Assi Brand Frozen Vegetable Potstickers, which I enthusiastically reviewed here. Now, I assert this because; 1) they looked just like the Assi brand potstickers, 2) they were filled with the same ingredients as Assi brand, and 3) the Korean grocery store that is attached to Gohyang and owned by the same people sells Assi brand as its only frozen vegetable potsticker option. These dumplings are vegan and are filled with onion, cabbage, green onion, textured soy protein carrot, Chinese cabbage, bread crumbs, tofu, leaks, garlic, ginger, black pepper and MSG. They have a meaty texture and flavor and are more a fake meat dumpling, than a leafy green vegetable dumpling. The Dipping Sauce: Gohyang serves a watery soy based dipping sauce, that, like the entree dishes I tried, was very bland. I found that dipping dumplings into this sauce defeated the purpose of a dipping sauce, the sauce actually diluted flavor out of the dumplings. The Location: Gohyang is on Russell Street (aka Route 9) in Hadley MA in a small strip mall of connected Korean businesses, all owned by the same people. There is a Korean grocery store, Gohyang Restauerant and a noraebang, which is a Korean style karaoke, where you rent a private singing room for you and your friends to sing in. This is pretty much the trifecta of Korean businesses for a college town. 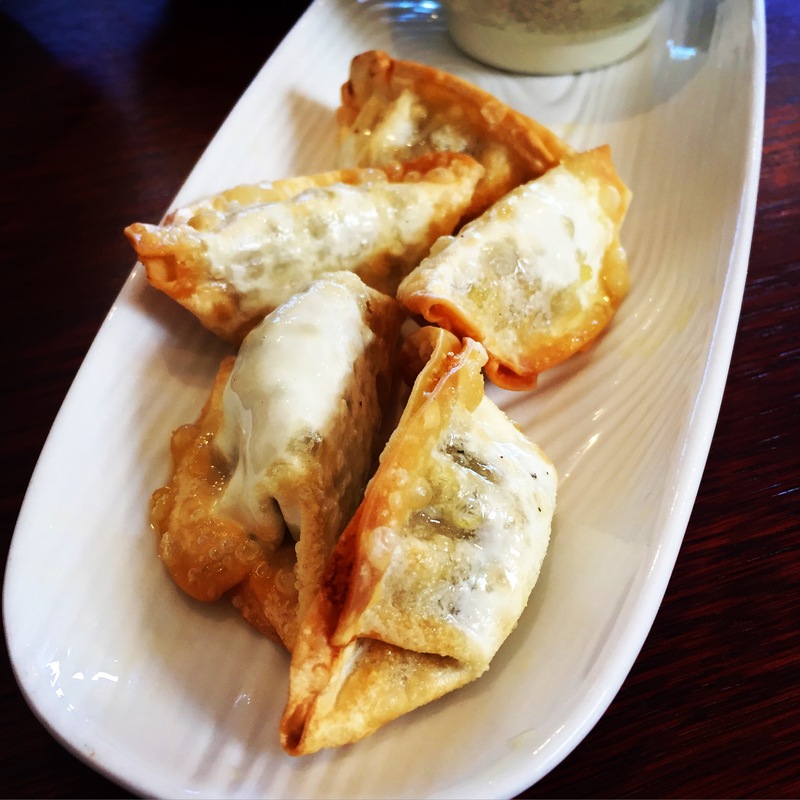 This entry was posted in Frozen Dumpling Review, Korea, Potsticker, Vegan, Vegetarian. Bookmark the permalink. Gohyang Vegetable Dumplings are NOT vegan. It has eggs in it, and I’m so upset about it because I’ve had it for so long, thinking that it was vegan. When I first bought it which was about 7 months ago, I didn’t see any animal ingredients. I’m not sure if they changed it recently, but I’m so upset that it has egg ingredients now and I fed my family with it who are vegan also. I think they use whatever frozen dumplings their attached grocery store has in stock. Thanks for the info though.